Protesters calling for the legalization of marijuana line a street near the state capitol in St Paul, MN. I'm back in the US for a couple of weeks visiting family. I haven't been photographing much but I took an afternoon from family engagements and went down to the state capitol in St Paul for pro marijuana protest. I went to college in St Paul and started my career at the Midway Monitor, a community newspaper in St Paul, back in 1982 or 1983. I left the Monitor in 1984 when I went to work at the Fergus Falls Daily Journal, in Fergus Falls, MN, on the North Dakota state line. It's been a long, long time since I made a photojournalistic picture in Minnesota. 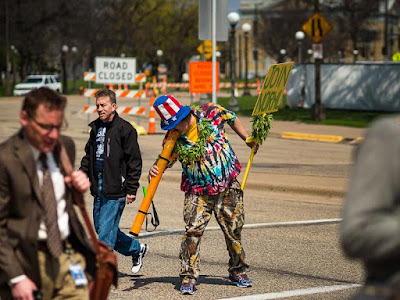 The marijuana protest was an interesting return to my roots (I even ran into another photographer I used to run into during my early years in the Twin Cities at the protest). One of the protesters takes a hit off a large bong before the protest. About 50 people participated in the protest. 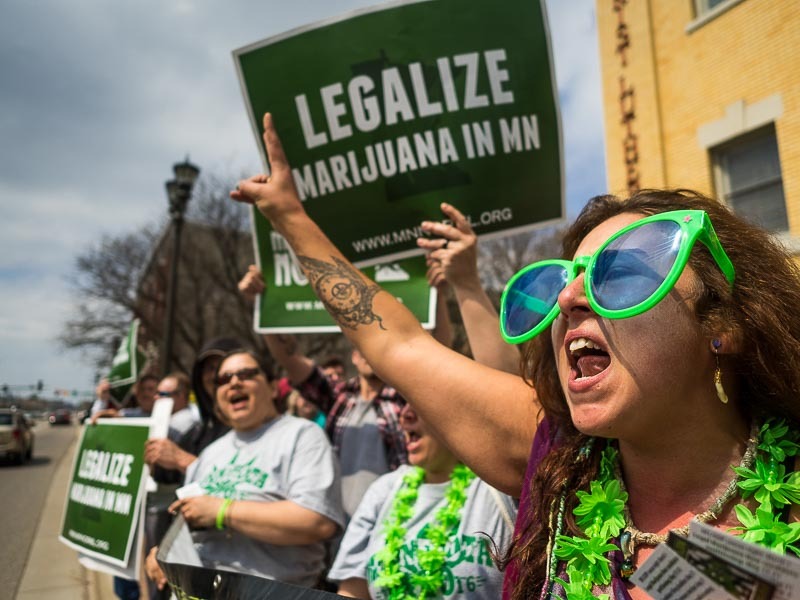 Some of them smoked as the marched around the capitol, others chanted calls for legalization. Honestly it wasn't really a big story. But it was kind of fun to be back working on the streets I started my career on 33 years ago, even if it was only for an hour or so. 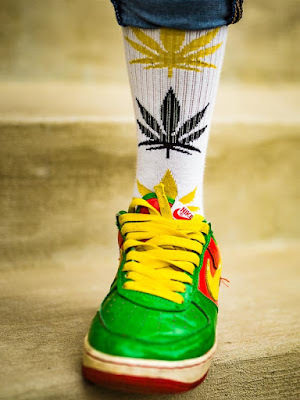 A protester's colorful shoes and pot themed socks. There are more photos from the marijuana protest in my archive.